A San Francisco treat since 2004, the Ocean Film Festival is growing in new directions, and you should know. Will it go international come 2013? Don’t bet against it, and meanwhile there is a pre-event on Friday, February 24 at the Aquarium of the Bay to launch their first Evening of Sailing with three shorts and two, um, mediums. Nancy Ogden’s Madstreak is the feature of the evening. It’s the story of Clay Burkhalter’s Mini-Transat race, and you’ve probably read about that venture in the sailing media, but the film is aimed to please your nonsailing friends as well. 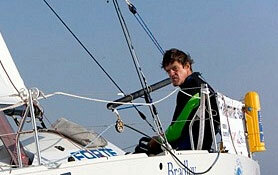 Think 89 solo sailors, and for Burkhalter, a 23-day Atlantic crossing in a boat not much bigger than a shoebox. 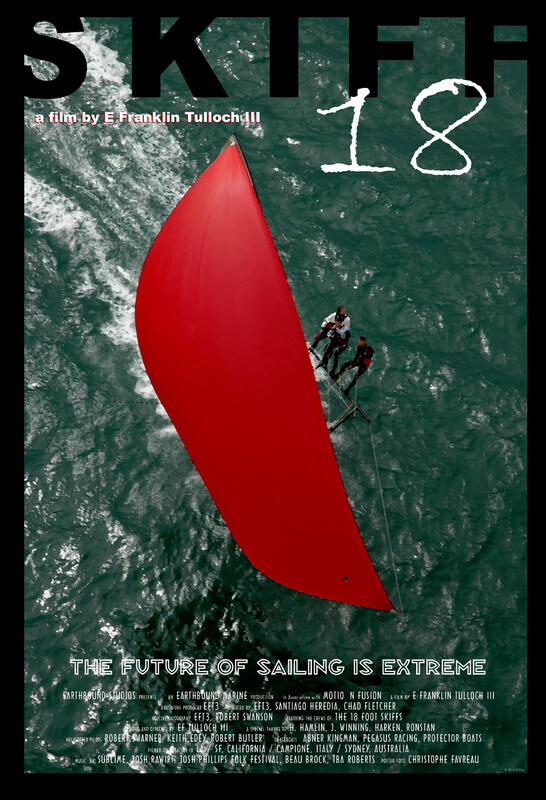 If you’re into thrills, there’s Franklin Tulloch’s Skiff 18 with high-octane footage from San Francisco Bay, Italy and Australia. Tulloch says, “Considered by many as the fastest monohull sailboats in the world, the 18 ft Skiff has been a mainstay on Sydney Harbour starting in the early 1900’s. These days however, the 18s have grown into super fast, ultra light weight carbon fiber sailing machines, somtimes reaching speeds of 35+ knots. Franklin Tulloch is one of three filmmakers who will be on hand for post-screening interviews. Add Roji Oyama with a short outtake from a work in progress, Our Blue Canoe. 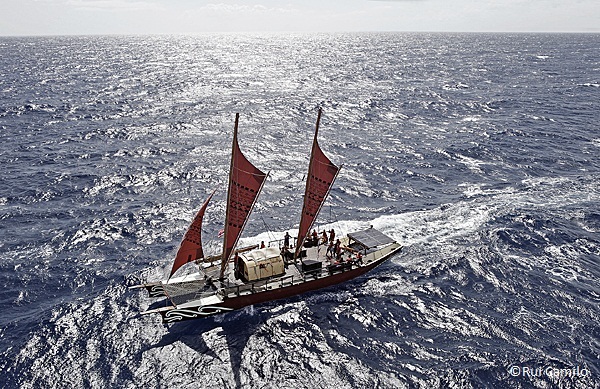 The film follows the Pacific Voyagers, the fleet of traditional sailing craft from the Pacific Islands who passed through San Francisco Bay last year. If you have a bone to pick, here’s your chance: I’ll be introducing the films and interviewing the directors on Friday night, so bring your rotten tomatoes, each wrapped in a $20 bill . . .
Indulge in wine and appetizers in the main lobby of the Aquarium of the Bay’s Bay Theater on PIER 39 at 6 p.m. The film festivities will begin with a special introduction by Kimball Livingston, Editor-at-Large of Sail Magazine, blogger of Blue Planet Times and author of Sailing the Bay and continue with five independent films highlighting nautical feats from around the world. 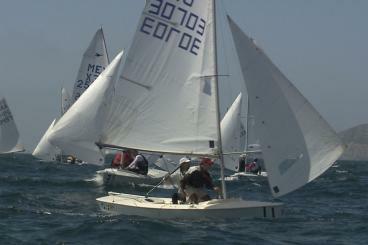 Following the screenings, stay to mix and mingle with sailing enthusiasts and select film directors. Date and Time: February 24, 2012, 6 p.m.
For more information visit Aquarium of the Bay. Since its launch in 2004, SFOFF has attracted thousands of audiences of all ages, from around the world, including film enthusiasts, water sports fans, educators, and environmental supporters. It was the first event of its kind in North America, inspired by the well-established ocean festival in Toulon, France that continues to drawing large audiences for more than 40 years. In 2011, the festival presented over 50 films, from 11 different countries and featured post film Q&A sessions with visiting filmmakers, special panel discussions with content experts, and the Fifth Annual Free Student Education Program. The festival is dedicated to using film as a medium to increase public awareness of the environmental, social and cultural importance of marine ecosystems and foster a spirit of ocean stewardship.